Castles still available for midweek hire ! All orders will also receive free garden games ! If you're looking to hire a bouncy castle in Glasgow and the surrounding area for any occasion you've came to the right place. We have a large range of sizes available from a 7x7 foot to a 20x20 foot. Styles including a ball pool, slide combination castles and adult castles. We do live in Scotland after-all and as such the weather is rarely on our side and because of this almost all of our castles have built in rain covers! 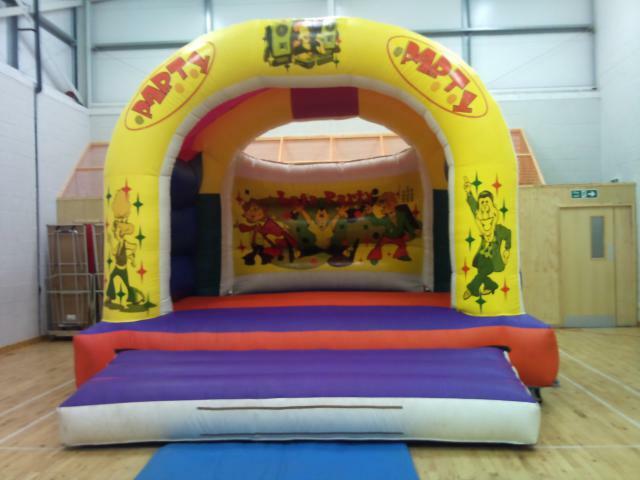 We are based in Clydebank and are happy to hire bouncy castles to the surrounding areas including Glasgow, Clydebank, Dumbarton, Balloch, Bearsden, Milingavie, Bishopbriggs, Renfrew and anywhere within a 10 mile radius of our Clydebank base (or further afield by arrangement). We'll deliver your chosen castle to your door and set it up so you're ready to bounce! For your reassurance we are fully insured in respect of public liability. 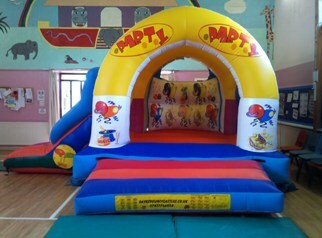 With any bouncy castle hire add on a party package for only £50! This gets you 24 bags of candyfloss, 24 filled party bags and a tray of 24 iced cupcakes! All delivered with your castle! 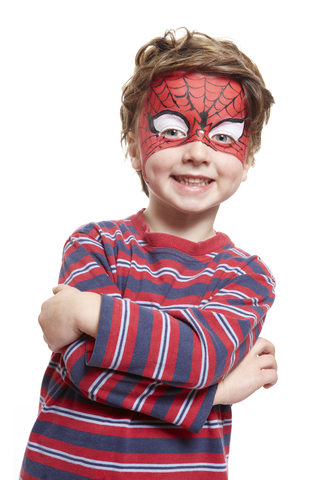 When you hire any castle you can also have a face painter for 2 hours for only an extra £40!